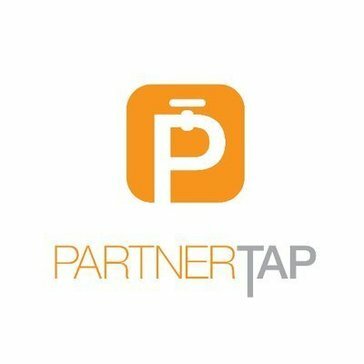 PartnerTap is a mobile app for salespeople to manage and collaborate with their referral partners. PartnerTap transforms sales partnerships through automation. What Sales Intelligence solution do you use? DiscoverOrg provides accurate, integrated, and actionable sales and marketing intelligence - including in-depth company, contact, org charts, and buying trigger data. ZoomInfo is a growth acceleration platform delivering accurate and actionable contact and business information to empower your sales, marketing, and recruiting teams. LinkedIn Sales Navigator is the best version of LinkedIn for sales professionals. By harnessing the power of a 500 million member network, LinkedIn Sales Navigator will help you better target, understand, and engage with buyers. InsideView gathers real time, social and business sales intelligence from more sources than any competitor, by far, and delivers it right into your sales rep's desktops and mobile devices - online or inside your CRM. Data and Intelligence provider for Technology Companies. Clearbit provides a suite of integrations and business intelligence APIs that help sales and marketing teams become more data-driven. Winmo is a sales intelligence solution that provides advertiser-agency relationships and marketing decision-maker contact information. An evolution of veteran prospecting platforms The List Online and AdDataExpress, Winmo introduces personalized email alerts, lead recommendations and enhanced integrations to provide an all-in-one prospecting solution. The global leader in technographics, offering B2B marketers the business intelligence they need to achieve extraordinary results. Anchored by Dun & Bradstreet’s powerful D-U-N-S® Numbering System, D&B Hoovers (formerly Avention) uses sophisticated analytics to deliver a sales acceleration solution packed with insight. Lusha complements your profile searches on LinkedIn with personal phone numbers and emails. * We monitor all PartnerTap reviews to prevent fraudulent reviews and keep review quality high. We do not post reviews by company employees or direct competitors. Validated reviews require the user to submit a screenshot of the product containing their user ID, in order to verify a user is an actual user of the product. Hi there! Are you looking to implement a solution like PartnerTap?